BLUE LAKE – On Friday, July 19 at approximately 9 a.m., the Humboldt County Sheriff’s Office assisted by the Humboldt County Drug Task Force, Humboldt County District Attorneys Office, Cal Fire, and California Fish and Wildlife served a Humboldt County Superior Court Search Warrant at two locations. One location was at 300 block of Green Hill Lane, Blue Lake, the other was in the 35000 block of State Route 299 near East Fork Campground, Willow Creek. The investigation into the marijuana cultivation was initiated after the Sheriff’s Office received a complaint of environmental damage at the Highway 299 location due to stream diversion. Both locations were determined to be connected prior to obtaining the search warrant. At the Green Hill Road location deputies located two suspects; Carlos Godoy, 25, from Oklahoma and Mickey Maldonado, 20, from Kansas. The deputies located a total of 550 growing marijuana plants ranging in height from 3’ to 7’ tall, along with packaging material and scales. The marijuana was being cultivated inside and outside the residence. At the Willow Creek location deputies located 320 outdoor marijuana plants that ranged in size from 6’ to 7’ tall, along with evidence of stream diversion, pollution and several recently constructed small outbuildings. No one was located at the Willow Creek location. 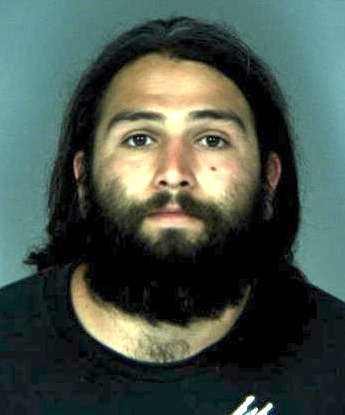 Godoy was arrested for cultivation and possession for sale of marijuana, conspiracy to commit a felony, diversion of a stream, depositing hazardous material near a stream and littering within 150 feet of a stream. 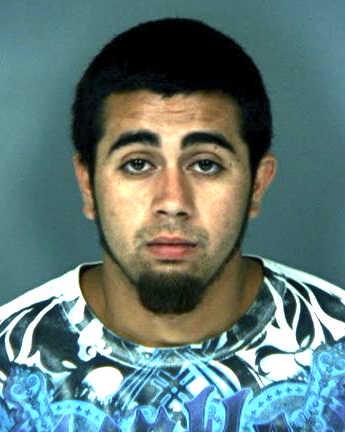 Maldonado was arrested for cultivation and possession for sale of marijuana, and conspiracy to commit a felony. They were transported and booked into the Humboldt County Correctional Facility where their bail was set at 75,000. The investigation into the case is ongoing with more arrests possible. Anyone with information for the Sheriff’s Office regarding this case or related criminal activity is encouraged to call the Sheriffs Office at 707-445-7251 or the Sheriffs Office Crime Tip line at 707-268-2539. This entry was posted on Friday, July 19th, 2013 at 3:44 pm	and is filed under News, Environment. You can follow any responses to this entry through the RSS 2.0 feed.